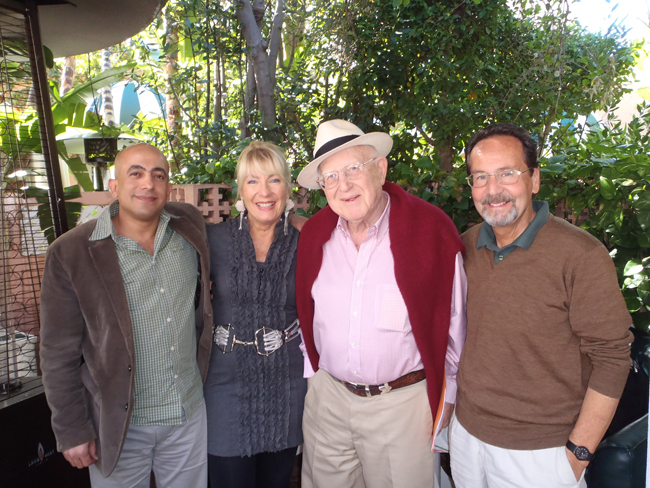 Beverly Hills, California 2012 – meeting with Branko Lustig, producer of Schindler’s List, Gladiator, etc. at the Beverly Hills Hotel to discuss the mutual cooperation on a feature film project about the late Bela Zelikovics, a Hungarian Jew whose life story will surely serve as inspiration to people the world over once it is told. Bela Zelikovics, a humble shoemaker, lost his entire livelihood during World War I, but through hard work managed to re-establish his shoemaking business and earn a significant fortune in the process. During WW II, he again lost everything – even his Jewish family – only to build up his business once again. In the 1950s, during the Hungarian revolt against the Soviet occupiers, Zelikovics lost everything for a third time but managed to escape to the United States, where he again managed to start a successful business.